Kate, thanks so much for joining the Girl with Book Lungs blog today, and happy book birthday! Hi Jenna! Thanks so much for having me as a guest on the blog! 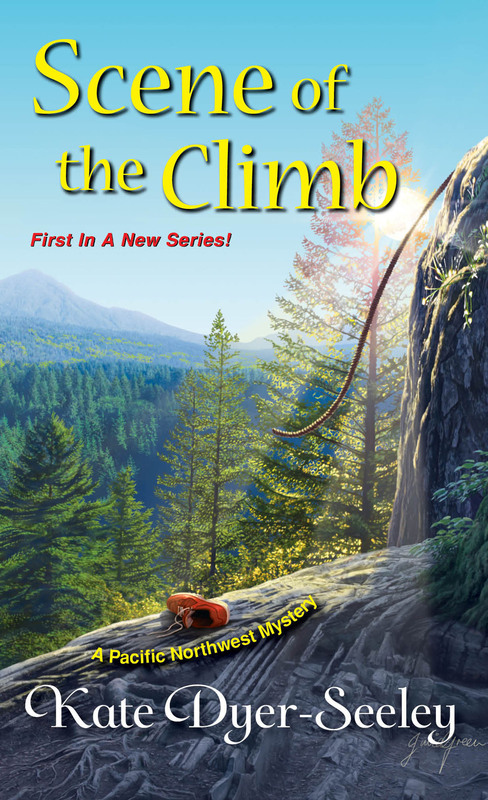 I’m excited to introduce readers to Scene of the Climb, the first book in my new Pacific Northwest Mystery Series. I live in the Pacific Northwest, and have been devouring every cozy I can get my hands on for as long as I can remember. One of my favorite things about the genre is they also serve as travelogues, taking readers to quaint villages and exotic locations all over the globe. When I decided to try my hand at penning my own, I knew I had to set it here. In the book, readers will meet Meg Reed, a young journalist who bills herself as an intrepid adventurer in order to land a gig writing for Northwest Extreme, an outdoor magazine. The problem is that in reality Meg’s terrified of heights and a total klutz. Her editor at Northwest Extreme sends her out to Angel’s Rest trail (a 2,000 foot peak with a breathtaking view of the Columbia River Gorge) to cover an adventure race filming on location. Meg prefers vintage fashion and artisan coffee to scaling cliffs, but she’s desperate for a job and to prove herself. So she laces up her kicks and hits the trail. Once she finally huffs her way to the top, she see a body sail off the summit and finds herself wrapped up in a murder investigation. Meg’s adventures continue from there and take her throughout Oregon and Washington. She treks to waterfalls, historic bridges, and of course her favorite hipster hangouts in Portland where she likes to kick back with a pint of microbrew with her friends. The book is obviously a work of fiction and follows the traditional mystery format, but it also takes readers outside and into nature. It includes a scenic loop tour that readers can literally bring along with them if they visit this corner of the world. I love the idea of being able to follow Meg on her adventures whether you’re reading the book from the comfort of your couch, or out on the trail. One of the things that I enjoy about writing this series is that most of my research involves getting outside. My dad, a retired English teacher who also serves as sounding board for my story ideas, and I hiked all the climbs in this book multiple times. Not only do I love being able to get out into the rugged beauty of our untouched forests, but some of my best ideas for the book and what’s next for Meg happen while I’m not actually sitting in front of the computer. I’m excited to give readers a taste of the Pacific Northwest, and perhaps even inspire them to come out and visit sometime. As I’m writing this, I’m starting to think I should be getting some kind of kickback from the tourism department. I’ve got much more in store for Meg from sending her to snowy mountains to the high-desert. Fortunately for me, that means many more “research” excursions in the coming months. I hope you and your readers will enjoy Meg and her travels as much as I enjoy getting to write her! Doesn’t the book sound fantastic? I’m thrilled to have received a copy for review and I will be sharing my thoughts here on the blog very soon. 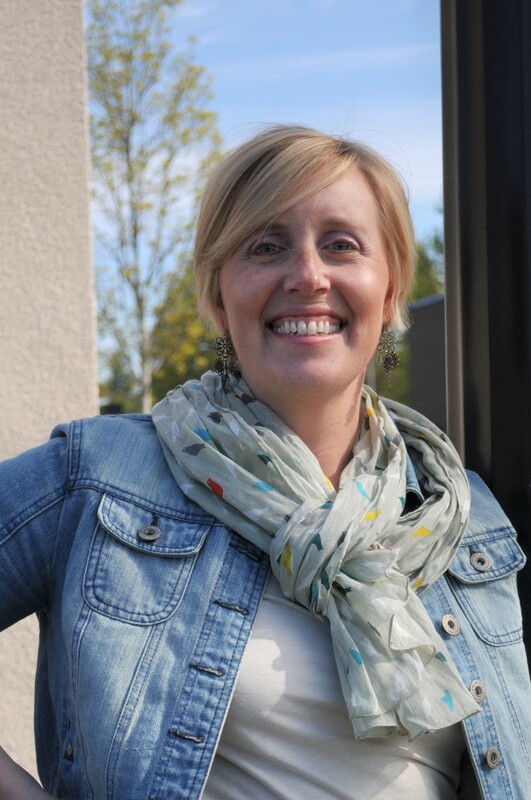 My thanks, again, to Kate for taking the time to share with the Girl with Book Lungs blog! I am excited to “meet” Meg in the Scene of the Climb, and then continue her adventures in books to come! !